Sporty and crossover SUV used to go together like oil and water. That’s no longer the case, and luckily for buyers the engineers and designers at Mazda and Alfa Romeo understand that a commanding view out, utility for cargo and gear, all-weather traction, and fun-to-drive aren’t mutually exclusive terms. Enter the 2018 Mazda CX-5 and 2018 Alfa Romeo Stelvio. As evidenced by base prices $15,000 apart, they’re not direct competitors. For enthusiasts, however, these two are worth cross-shopping. In our ratings, the 2018 CX-5 rates a 7.0, while the 2018 Stelvio comes in at a 7.4. They're both highly rated, but they're different than competitors like the Nissan Rogue and Audi Q5. Those two better utilize interior space for passengers and their gear and they boast more intuitive infotainment systems. Yet neither relishes a sprint down a curvy canyon road. The CX-5 and Stelvio are the antidote. Befitting its lower price—around $25,000 to start—the Mazda is less powerful and comparatively sparse in standard equipment. That base price nets a front-wheel-drive CX-5; another $1,300 buys power for all four corners. All CX-5s use the same 2.5-liter inline-4 rated at a middling 187 horsepower. 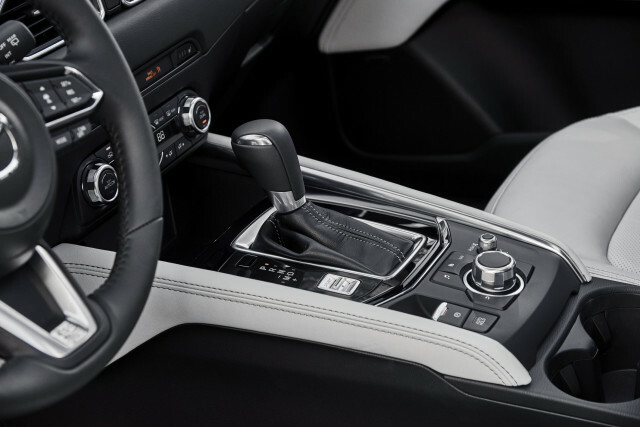 A 6-speed automatic shuttles power to the wheels. The engine is buzzy, but provides decent grunt up against pedestrian rivals thanks in part to the CX-5’s lithe 3,600-pound curb weight. The Stelvio’s turbo-4 comes in with a vastly more impressive 280 hp, sent to all four wheels via an 8-speed automatic available with paddle shifters. Remarkably, the Stelvio checks in at about 3,700 pounds. Given that power-to-weight ratio, it’s no surprise that the Stelvio is brisk and at times ferocious in its acceleration. A more powerful Stelvio Quadrifoglio with a Ferrari-derived twin-turbo V-6 is on its way for speed demons with cash and premium unleaded to burn. Certainly, the CX-5 isn’t about straight-line acceleration. Its forte is its handling, which is taut and responsive. By comparison, the Stelvio is busy, almost manic, but equally composed. Both crossovers have a higher center of gravity than their sedan counterparts (think the Mazda 3 and Alfa Romeo Giulia), which explains their relatively higher levels of body roll. The Stelvio’s drive-mode selector dials in brutally fast shifts in Dynamic mode and it’s best-suited for those “take the long way home” days. True, the CX-5 also has a sport mode, but its responses are tame and subdued. There’s no sportier version of the CX-5 on offer, but Alfa’s Ti Sport trim level tightens up the suspension. 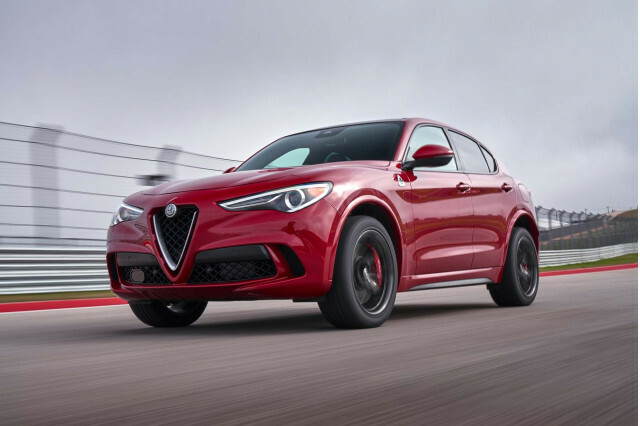 A Ti Performance Package further elevates the Stelvio’s price tag with adaptive dampers and a mechanical limited-slip differential. Both crossovers establish themselves as sporty choices inside and out. Though the CX-5 was penned in California and Japan, its lines could have come from Italy. It’s a clean, unencumbered look that belies its low price. Alfa Romeo’s designers dug into the history books to recreate the brand’s shield grille, flanked here by beady-eyed headlights. Inside, they follow a remarkably similar form with two-tier dash designs that prioritize the view out over convenience. The CX-5’s materials are upmarket for its price, while the Stelvio’s don’t stand out against competitors like the Mercedes-Benz GLC-Class. Neither wins points for infotainment. Both systems rely on cumbersome, menu-intensive software, a scroll wheel for inputs, and limited connectivity. Apple CarPlay and Android Auto are optional on the Stelvio and not available on the CX-5. Sports cars prioritize the driver and so too do the CX-5 and Stelvio. Firm, well-bolstered seats grip the front passengers and provide a largely unobstructed view out thanks to narrow roof pillars. Rear seat riders get a second-class seating position in both, with mediocre support from their three-position benches. And neither leads in terms of cargo capacity: just 56.5 cubic feet of maximum gear-swallowing space in the Alfa and a hair under 60 cubes for the Mazda. On paper, you’ll save about $15,000 by picking the CX-5, but that’s hardly an apples-to-apples comparison. 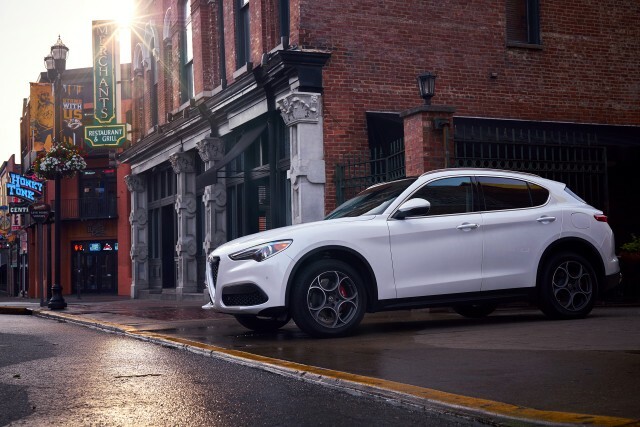 The Stelvio is well-equipped from the get-go with all-wheel drive, leather upholstery, dual-zone automatic climate control, and a power liftgate. To get all that gear on a CX-5, you’ll need to step up to the range-topping CX-5 Grand Touring that also includes heated front seats, automatic emergency braking, and adaptive cruise control for about $31,600. At an EPA-rated 26 mpg combined on regular fuel, the CX-5 bests the Stelvio’s 24 mpg combined using pricier premium unleaded. Ultimately, which crossover is the best for you depends on your priorities. The CX-5’s lower price tag brings with it less power and fewer standard features, but even a loaded-up model is something of a bargain. So too is the Stelvio, at least against its luxury-brand competitors. Either makes a statement that automotive enthusiasm isn’t dead yet, even as buyers migrate away from sedans and to tall-riding crossovers. Remarkably fun to drive and beautiful too, the 2018 Alfa Romeo Stelvio is great at driving, less facile at crossover-SUVing. With the Stelvio, Alfa Romeo coins a new shape that reminds us how blocky other crossover SUVs can seem. The 2018 Mazda CX-5 is far too pretty to be a crossover. 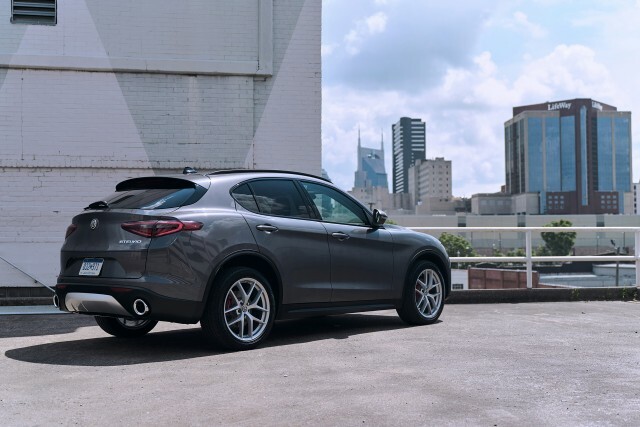 Dollar-for-dollar, the 2018 Alfa Romeo Stelvio is one of the most capable, dynamic, and fun-to-drive crossover SUVs on the market. Yes, there’s a little bit of Miata in the 2018 Mazda CX-5. Just enough. A tiny backseat is the 2018 Alfa Stelvio's biggest demerit, and will make it difficult for Alfa Romeo to appeal to families with older children. 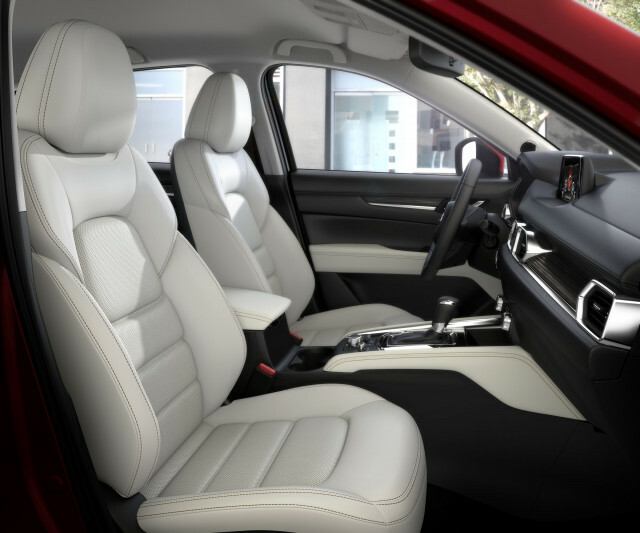 Though dressed in fancy duds, the 2018 Mazda CX-5’s interior is full of compromises. Crash test ratings aren't available for the 2018 Alfa Romeo Stelvio yet. 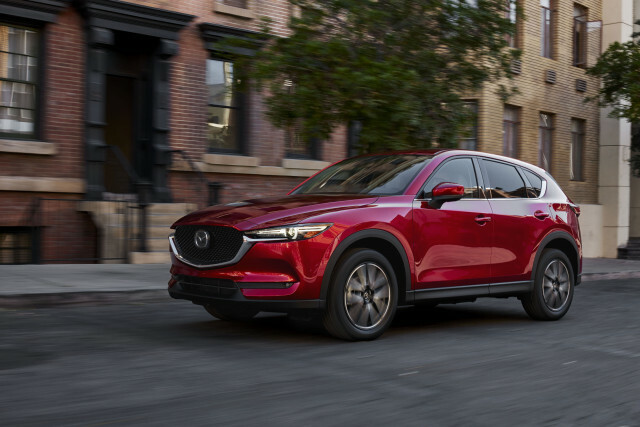 The 2018 Mazda CX-5 comes standard with a high level of safety gear. 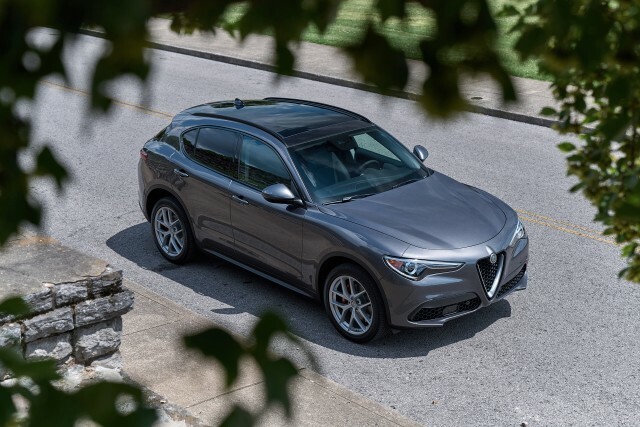 A solid roster of standard equipment and a range of luxury and performance options keeps the Alfa Romeo Stelvio competitive, while a solid warranty should give owners some peace of mind. The 2018 Mazda CX-5 comes luxuriously equipped but its cumbersome infotainment system is a letdown. The Alfa Romeo Stelvio's 28-mpg highway rating is perfectly average for the class, keeping pace with its European rivals. 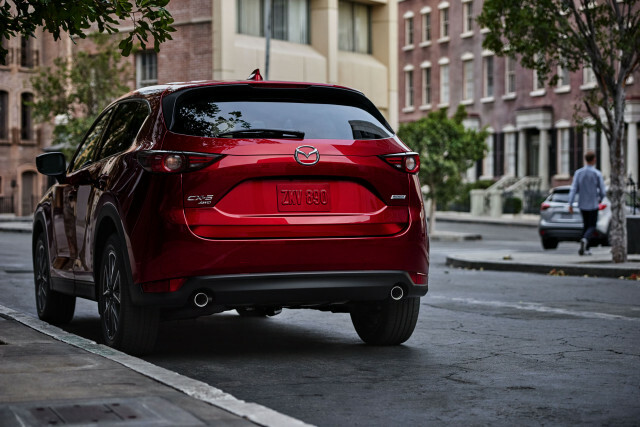 The 2018 Mazda CX-5’s engine can run on just half of its cylinders to reduce fuel consumption. There are no Alfa Romeo dealers in our network that are located near the ZIP code. We have sent your request for price quotes on the 2018 Alfa Romeo Stelvio and 2018 Mazda CX-5 to the dealers you requested. They should be in touch shortly. Your request for a fast, free price quote on a 2018 Alfa Romeo Stelvio and 2018 Mazda CX-5 is in process. The CarsDirect Dealer(s) listed below will contact you shortly to discuss your request and to provide a quote.